There are 8 more slots to be filled for the Hearthstone World Championship Tour that will be happening this BlizzCon 2017. We have the top 4 players from the Winter and Spring events secured their spots for the said event. 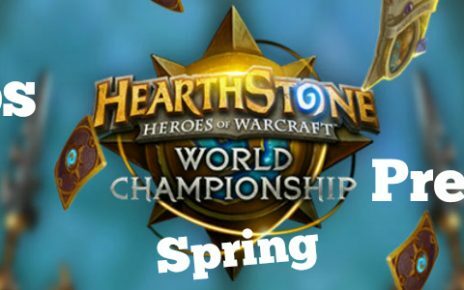 Currently, the 8 invited players for the main world contest are Shtan Udachi, Fr0zen, Samuel Tsao and DocPwn from the Winter tournament and we have Hoej, Kolento, Ant and Neirea securing the spots from the Spring competition. 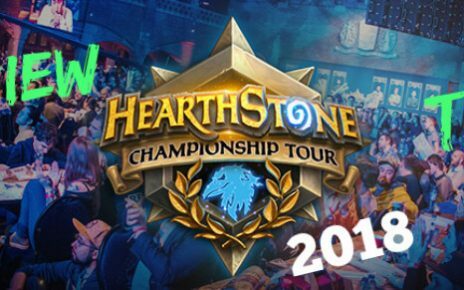 The HCT Summer Championships main event will be happening on October 13 – 15 and it will be held in the sunny city of Los Angeles, California. It will feature a prize pool of a whopping $250,000 and the first place will win $60,000. It will feature a Best of 5 in Conquest format and will be using the Standard Mode. The group stage will be using a dual tournament format and only the top two from each group advance to the playoffs. From the playoffs, it will be single elimination thus making the game much more exciting. The main event will also feature the top 16 players from 4 different regions who qualified in their respective qualification tournaments. These four regions are the Americas, the Asia-Pacific region, the EU region and China. China has a separate region since they have a lot of top quality players and they hold their own qualification for the HCT Major. For the EU region, they will be represented by Pavel, the current Hearthstone World Champion who also came in first in the Summer Qualifiers for the EU. We have a new face coming in from second, Amyks who came from Poland. The next two slots for the EU side will be filled by OldBoy from Ukraine and also the longtime Hearthstone veteran Orange from Sweden, who came in second place in the 2016 WESG tournament. The Americas region has a lot of new faces save for two veterans. 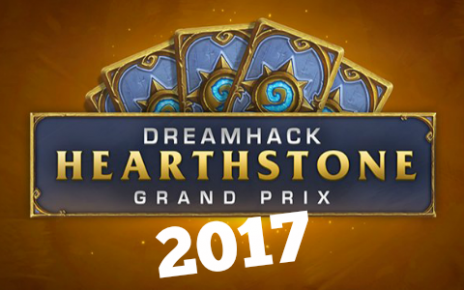 The first place went to the Canadian PurpleDrank who won Dreamhack Winter and also the Americas Hearthstone main event back in 2015. 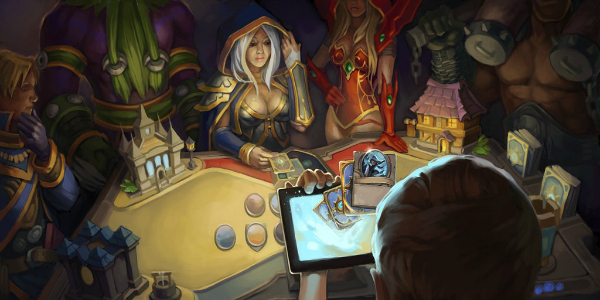 The second place went to the Argentinian Nalguidan, who is also a veteran of the recent Hearthstone Global Games. The last two slots are the newcomers Empanizado from Mexico and the lone American YAYTears. The representatives for the Asia-Pacific region were dominated by the South Koreans who came in the top 2 slots. These are Surrender and cocosasa, who are both new faces in the Hearthstone competitive scene. The remaining slots are occupied by Tom60229 from Taiwan, who was the winner of the SEA Majors in Malaysia in 2016 and another newcomer Uya who hails from Japan. The Chinese representatives are some of the most recognized and the most distinguished players in the Hearthstone universe. First place goes to Trunks, who is a veteran of the Chinese scene and also a long time representative of Team China. The second place went to Jiajia who is a newer face in the scene. The remaining places went to Chinese veterans and Team China representatives Jason Zhou and Omega Zero. Out of all the regions, the Chinese delegation has the most stacked representatives going to the tournament. The competition has not been seeded yet but there are many favorites to go through and get the 4 spots for the World Championship. The first one would be Pavel who would like to go ahead and win this tournament to go to the main event and try to win it a second time around. Pavel already has his Global Games teammate Shtan Udachi get a slot for the World contest by winning the Winter tourney. Orange also has a good shot of securing a place due to his recent form and also experience in Majors and big tourneys. Other favorites include the popular Chinese players, especially Trunks and Jason Zhou as they have been dominating the Chinese scene and also came in top finishes in the recent StarLadder series. And let us not forget, Jason Zhou came in fourth in the 2016 World Championships, who was eliminated by Pavel in the semifinals. Another Chinese veteran who has a good chance of advancing is Omega Zero as he will be looking forward to being able to attend his second World main tourney. And who can forget PurpleDrank, who will be carrying the Canadian flag and will be looking to join his compatriot DocPwn, who qualified in the Winter Qualifiers. For the new faces, I see the Ukrainian OldBoy break out in the competition and he might get one of the top 4 spots due to the abundance of training partners he has. If he gets qualified, he will be the third Ukrainian to get a slot for the main tournament, with Kolento and Neirea already securing their spots in the Spring Championships. Another new face who would most likely advance to the higher slots would be the Chinese player Jiajia. YAYTears might also break out since he will have the home advantage. YAYTears is also not a stranger to card games as he was a former Pokemon player. These will be very exciting as we will see a lot of new and old faces in this tournament. Will we see Pavel qualify and try to win a become World Champion twice in a row? Will the new players be able to beat the veterans and gain a spot? Will Pavel and Jason Zhou have a replay of last year’s semifinals, and will it be the same results? That, my friends, is the million dollar question. With all the history of the players between each other, this is one Summer Championship tourney that we do not want to miss. Stay tuned for the future articles! Good luck!